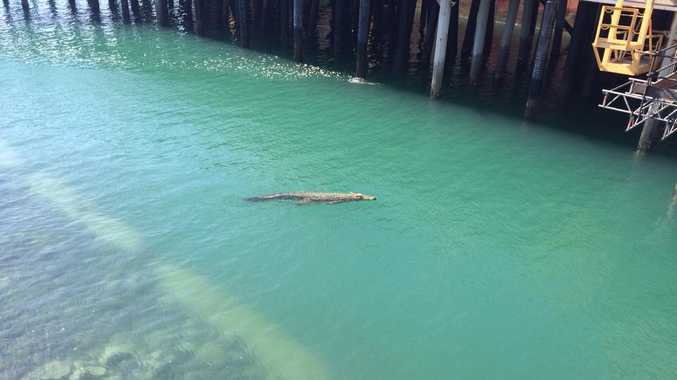 ANOTHER crocodile, or possibly the same one as yesterday, was spotted at the Mackay Harbour. Shane Wilson, a Mackay local who was down at the Harbour with some friends saw the crocodile after someone pointed it out to him. 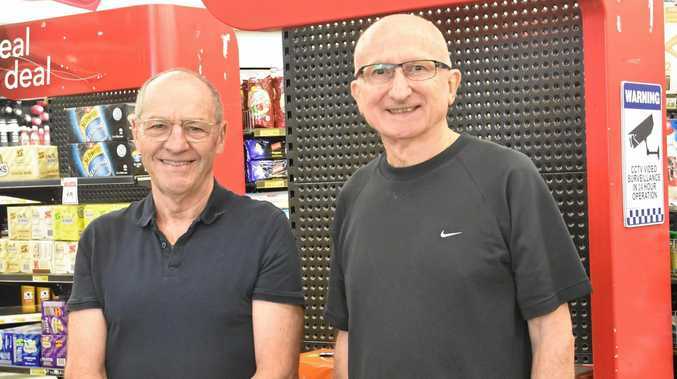 "We were just walking down the wharf when someone pointed it out to us, a couple of women saw it as well, they were pretty interested as they had never seen a croc around here before," Mr Wilson said. "It looked like it was a fairly old croc and there aren't many of them around so it could be the same one that was seen at Blacks Beach yesterday." Mr Wilson and his friends saw the predicted 3.5m crocodile at about lunch time yesterday. "He was just floating around and then quickly took off," he said. "He had a big head and big teeth, I wasn't getting too close." Remember that the Mackay region is known as 'Croc Country' and members of the public are reminded to always adopt 'Crocwise' behaviour. All sightings should be reported to EHP on 1300 130 372 as soon as possible. All reports and taken seriously and investigated. Crocodile spotted at Mackay Harbour: Shane Wilson, a Mackay local who was down at the Harbour with some friends saw the crocodile after someone pointed it out to him.